It’s that time of year again! I’m scheduling club meetings, group project meetings, coffee breaks and study sessions, all while carrying my laptop and checking every email and notification I receive while also editing one of many papers. What’s all the chaos, you ask? It’s finals week! While I can’t necessarily speak on behalf of other colleges and universities, I feel confident in saying that no matter where you are, finals week is difficult. It’s a combined feeling of excitement for the summer and stress over looming assignments. It’s knowing you’re that much closer to being at home or at your exciting internship while frantically memorizing definitions on your flashcards. It’s daydreaming about a nice home-cooked meal while waiting in line for your third coffee in one day. It’s stressful, but it has to happen. About a year and a half ago, I wrote about finals week as I finished my third semester’s worth of exams. Now, after another three semesters, I see junior year coming to a close, as final presentations and exams begin this week. In six semesters I’ve learned that the ironic thing about finals week is that while this is my sixth time going through them, for some reason I never feel fully prepared. I’ve gone to office hours. I’ve asked important questions. I’ve created study guides and rehearsed presentations. What else is there to do? I can’t sit down and act like it isn’t overwhelming. I can’t pretend that these finals just don’t exist. For me, it’s about taking the time to understand that I’m doing the best that I can, and I hope that other students, no matter how old they are or what school they attend, are doing the same thing. Everyone’s way of experiencing finals week and coping with the various stresses of it are different. There’s no perfect formula for figuring out how to handle it. For me, at least, it’s about taking the time to know that I am doing all that I can. To be completely honest, I wasn’t sure what path this blog post would take me down, but then again, do we ever know? For me, it’s about taking a chunk of time out of this already hectic schedule and looking at something at positively as possible. For those of you who aren’t in the midst of finals, but still could use some positive reinforcement, know this. Whatever you put your mind to, you can do. It’s incredible cliché, and I regret writing it to be honest, but clichés are often based in truth. When we face stressful situations, no matter what category they fall under, the easiest reaction can be to give up or run away. If anything, I hope that reading this, no matter what your individual circumstances are, you remember to look on the bright side, or as I like to say, “Keep your face toward the sunshine.” Finals aren’t easy! There are a lot of things in life that are difficult. I hope that whatever you’re dealing with at this time, you remember to take a second, breathe and realize you can do it. Make yourself proud before you make somebody else proud. Study hard, stay strong and know that something greater has yet to come. What makes a great leader? It’s a question I’m sure most people are asked at least once in their life, but it seems to be something that remains difficult to answer. Is it the charisma? The credentials? The ability to work well with others? The ability to represent a larger body of people? What does it take? A few weeks ago, Jane and I had the privilege of sitting down with the Rev. Peter M. Donohue, OSA, PhD, the president of Villanova University. Serving since 2006 as the 32nd university president, Father Peter has become an iconic member of Villanova’s campus. Whether he is speaking at university events, sitting on the sidelines in Pittsburgh, Boston and San Antonio or recently traveling to Rome to meet Pope Francis, Fr. Peter leads Villanova with enthusiasm, intelligence and personality. I’ll be honest, I was genuinely nervous for this conversation. Would he be receptive of our desire to introduce him to prospective families? Would he be willing to answer the questions we painstakingly prepared? How would he react to our ideas? From his love of theatre to his goals for our university’s future, our chat with Father Peter was insightful, exciting and certainly something to remember. Molly: Other University Presidents are not necessarily as approachable as you are… why do you think that is? Fr. Peter: First of all, I don’t know if that’s true! When I was first asked to do this job, or when I was asked to put my name in to be considered I guess I should say, I was involved in the life of the students. I lived in a residence hall, I was the Chair of the Theatre Department, I was teaching three classes a semester, so I was very engaged. I went to Mass every week with campus ministry. I was very involved with the students, and I didn’t want to give that up. I felt that being the President you would have to give that up, and a very good friend of mine said “you can do whatever you want, you’re the President.” And, over the years, it hasn’t been as easy as I thought it would be. But I really try to make a concerted effort to be known, that people know who I am and what I do, and when I’m around and not around. And when I am around, I’m available to people. So, it’s genuinely me wanting to stay in touch with what’s happening with the student body. That’s my biggest desire. Jane: What skills do you think it requires to be an efficient University president? Fr. Peter: Efficient or effective? I guess I would say there’s a difference. Fr. Peter: Okay, well effective. I guess the biggest thing I’ve learned is that you need to be a good listener. I think that’s true for any leader, for anyone who is given the responsibility of leading an organization or a group of people. You have to know what people are thinking, where they are, what their struggles are, what their joys are, what works for them and what doesn’t work for them – if you’re not willing to listen to them, and you’re only willing to talk to them all the time, telling them where to go and what to do, then you’re really not helping them grow as people, as individuals. In terms of being University President, being an effective listener helps me to be an effective leader, because then I can better understand what the needs of the University are. Jane: I know a lot of times people say “Father Peter, well he’s the President of Villanova.” So, what do you think is something you’d want people to know about you outside of the fact that you’re the President here? Fr. Peter: I think one of the big things that I’ve been engaged with for a long time, and what I miss the most, is my involvement with the Theatre Department. And I miss teaching a lot. It wouldn’t be easy to be in this role and be a teacher, because I’d be missing class a lot. The students might not mind, but I’d always have to be away. Tomorrow, for example, I have to go to Pittsburgh – I couldn’t do those types of things if I was teaching. That’s something I really miss. Something else… I love movies, I love watching movies. Big movie fanatic. I don’t go to the movie theatre anymore, but I watch them all online. All those miles I go on planes, I’m always watching a movie. That really helps me pass the time. Those are the big ones. Molly: What did you teach? Fr. Peter: I taught acting – it was called “The Theatrical Experience” – what goes into putting on a theatre production. It was really fun. I also taught Dramaturgy, which was a graduate course, and musical theatre. Jane: What do you think makes Villanova different from other universities? Fr. Peter: That’s always a hard one. I guess people say it’s different because the experience is different. I mean it always sounds like we’re a little full of ourselves. Like we’re different from everyone else; we’re a little better than everyone else… but what makes Villanova special to me, is the people that are here. I think we have an incredible group of students – we have students that really care about each other. There is a real sense of community that is found here. In my travels, I frequently interact with alumni that are married to non-Villanova alumni, and the non-Villanova spouse always says, “I don’t know what’s in the water there, but there’s something about the Villanova people because all of our friends are Villanova people, the godparents of our kids are Villanova people, my husband or wife has kept in touch with all these people over the years and I haven’t done that with the people I went to college with.” I don’t know what it is, I don’t think I can put my finger on it sometimes, but I think people really do care about one another here. I just had an email from the director of this project in North Carolina. A group of Villanova students from LEVEL went down for the week for Spring Break and did service down there. She wrote this extensive email about how wonderful the students were and how much the program and the students in the program taught her, and her staff, about how to be more caring people. And that was just through interacting with them. She said they were dramatically changed by that Villanova group just being here. Molly: Villanova has been going through a lot of change. Whether it’s being recognized more academically, athletically, we have a lot of construction on campus – we’ve transitioned into a national university. What are goals you keep in mind when looking ahead for this national reputation? Fr. Peter: Well, there’s very specific criteria from the organization that classifies you as a national university. The organization that does the classification comes in every five years or so and looks at certain criterion. They look at the size of classes, what’s the faculty/student ratio, how many classes do you have under 20 students, how many do you have over 20 – it makes a difference for the ranking. How many doctoral candidates do you have, and how many are graduating. They look at the expanse of your academic programs, how you are increasing faculty-student research, what kinds of things are going on both inside the classroom and outside the classroom in terms of that research and scholarship. Those are the types of measurements they use so it’s important for us to keep the quality of our academic programs high. It’s not how large you are or how many nice buildings do you have. It’s all about academics and research, so we need to keep those strong. Jane: How do you think the new construction plays into the vision? Fr. Peter: When doing research for the Strategic Plan, one of the big issues we noted was the lack of student housing. When I came on to this job, I had a big request from the local community that the University provide more housing options to bring more students back on to campus, particularly seniors. Many seniors that said if they had the option, they would come back on campus. When we created the campus master plan, the only places that we could technically build on, that had that much space, was the parking lot. There’s no way we could say we’re going to guarantee four years of housing, but we can certainly promise that if you want to live on campus, there can be options. Something we need to eliminate completely is tripling in freshman dorms. We need to get rid of that, because the buildings on South Campus weren’t built for that. They were built for two people and we’re squeezing a third person in there. That’s putting wear and tear on the buildings themselves, and it’s also putting wear and tear on the people that have to live in those rooms. And when those buildings were designed, people didn’t bring half the stuff they do now. All computers and stuff, it’s just a different place. Therefore, we have to eliminate the tripling. The Performing Arts Center, that is the one missing piece of Villanova. There are numerous students on campus that participate in the performing arts – sing, dance, play instruments, do theatre – and Villanova has never had adequate space for that. We have Vasey Theatre, which is an old lecture hall that was converted into a Black Box Theatre. The student undergraduate groups, the club groups, perform in old classrooms or St. Mary’s Auditorium (which isn’t really a theatre). Dance groups are practicing in classrooms or hallways, the band is in the basement of St. Mary’s, the singing groups are having their concerts in CEER lecture halls. We’ve never really had anything dedicate to the arts even though we have more students that participate daily in the arts than we do varsity athletes. This building will give us three different performance venues and classroom space. It’s not the biggest space, but it’s a beginning. It’s something we’ve been missing. Molly: What do you think is the most important lesson, or lessons, that students gain from an Augustinian tradition on campus? Fr. Peter: I think the most obvious one is Augustine’s connection to friendship. He was really very positive about friendship and one of the hallmarks of creating community and hospitality and welcoming people into your world and realizing the power and presence that people have in your lives. I think students certainly benefit from that. I think it’s one of the most overused words on campus – or the two – friendship and community. Villanova community. Sometimes people say to me, it’s a “Villanova Family” – but, we’re not family. Family is something different. Being a community is something unique. As a community you have people of different backgrounds, ideas, and from different parts of the country, that come together and utilize what their experiences are to create something new and different. Every year, when we get new students, there is new energy and life and contributions to the community. The community continues to change and expand. A family unit is different – like this is the role you play in your family and that’s it. A sister is a sister, a brother is a brother, a mother is a mother, and a father is a father. For the rest of your life, that’s how you’re going to react. That’s not what a community is. At times, as each member of the community develops and grows, they have something new to contribute to it. So, it is a very common word around here, but it really is the essence of an Augustinian education. Jane: In your position, how do you counteract some of the negative labels Villanova gets in regard to diversity? Fr. Peter: A long time ago, it’s been 12 years now, in my inauguration address I said, “If Villanova doesn’t stop calling itself Vanilla-nova, it will always be that.” We adopted that language. It’s the same way that Villa-no-fun works – if we’re going to continue to say it ourselves, then that’s going to be our reputation. I think we’ve made some real advances in diversity. When I look at diversity though, I look at it as a much bigger picture. There are all kinds of diversity. For me, diversity is a whole rainbow of things. We have a lot more diversity on campus than people give us credit for, and that we give ourselves credit for. But, it’s always an evolving thing. I think our biggest diversity issue is not necessarily with students but in faculty and staff. I think we need to diversify faculty and staff more. People will come to a place where they see people like themselves, and they know people like themselves. So that means bringing faculty from all different parts of the world, from different parts of the country, not just from the East Coast.. We can definitely work on our sense of inclusion on campus. I think there are people on campus that feel sometimes very left out, and don’t feel like they’re part of this place. That’s a problem that we need to address, and need to continue to address. For me, diversity is an issue that needs to be continuously reevaluated. We need to work to ensure Villanova is a microcosm of the world. We want to have people from different economic backgrounds, different geographic backgrounds, different racial backgrounds, different faith backgrounds, and different experiences. It’s an issue that we continue to deal with and are trying to improve. Molly: In terms of larger controversial issues going on outside of our University, what is your philosophy on making sure you’re doing what’s best for our university while acknowledging what’s happening elsewhere? Fr. Peter: I think as a President of a University you have a particular platform you can use not only for the university you’re leading but also in terms of the public forum in some ways. I think that sometimes people look to me to put out statements, and that can be good and bad. Because then everything that comes down the road, they’ll want a statement about it. And I can’t make a statement about everything. When something happens, not only do I think about how it has impacted Villanova locally but also Villanova nationally and internationally. How has this impacted us? With the recent Florida shooting, there was a lot of talk about gun control and understand the need for it. I don’t think an 18-year-old necessarily needs to go in and be able to buy a semi-automatic rifle. Yes, people should be able to enjoy hunting, but you don’t need an assault weapon to go hunting. So why are we selling those things to citizens? There are a lot of issues like that. I did contact the Villanova community in Florida, saying we’re thinking of them and were thinking of them at Sunday masses on campus, and we had masses dedicated to the victims and their families. I think that was reassuring to them, but I don’t think I had to go out in the New York Times and say it. Because then is that about the Villanova community, or is that trying to bring attention to me? I don’t need to write an op-ed about Villanova people in Florida, but I do need to reassure people that we care about them. When it comes to bigger national issues, like the incident that took place regarding the election, it was something we felt the effects of on campus, so something needed to be said. Those are times I feel that I need to speak up. But I don’t feel the need to send out a message for every incident that occurs… I need to draw a line. I can guarantee that years after graduation, one of my most memorable moments at Villanova will be the opportunity I was given to sit down and speak with Father Peter. Three years ago, when I was anxiously deciding what university to attend, I would have loved to meet a president like Father Peter. I would love to have picked his brain on why Villanova was the right choice. He’s someone who is excited and honest. He’s passionate and friendly, but maintains the stoic and formal manner that we need in a successful president. During my time at Villanova, I have learned to appreciate so many of the university’s resources and opportunities. That being said, it was not until I was given the chance to sit down with our fearless leader that I began to appreciate it more. Without leadership like Father Peter, our university would not be able to function as well as it does. Through his collaboration with faculty and staff, his interest in student life and desire to make a difference, Villanova is able to transcend into the modern world while maintaining the Augustinian values we cherish. What makes a great leader? The charisma? The credentials? The cooperation? While these questions remain unsolved, I know that at Villanova, it’s about forming a university that can positively impact its students in a way that can influence the people we encounter now and in the future. For Father Peter, it’s the passion, the personality and the desire to allow Villanova to make a difference in people’s lives the way it has done so in my own. That is the kind of leadership I trust and that I hope to bring with me after graduation. 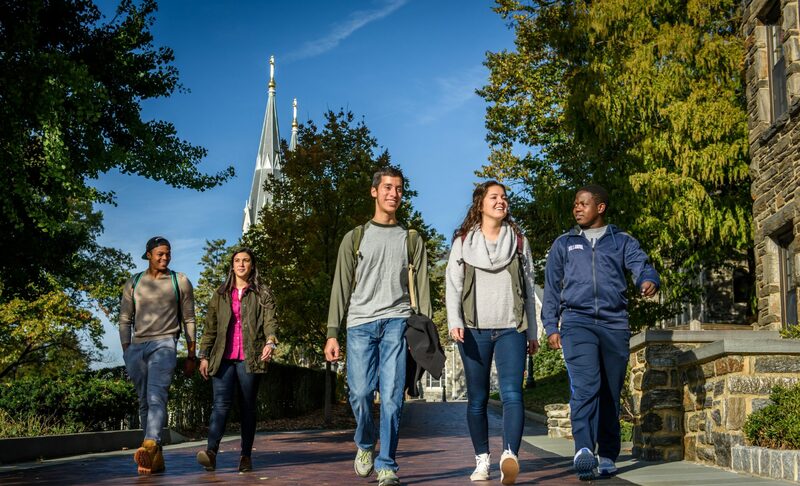 Walking around Villanova’s campus, you’ll probably be charmed by the graceful trees by Alumni Hall, the iconic St. Thomas of Villanova Church and the beautiful gothic style of many of the buildings on campus. I know that’s what charmed me when I visited campus. What I didn’t appreciate about Villanova’s campus, however, was all of the daily work that goes into maintaining our beautiful grounds. I knew even less about all of the initiatives Villanova supports to reflect our commitment to sustainability. In the spirit of Earth Day, I was able to sit down with two major contributors to Villanova’s green initiatives on campus. Bob Morro, the Vice President for Facilities Management, and Liesel Schwarz, the Sustainability Manager, were both kind enough to speak with me about Villanova’s commitment to going green. Jane: First, I wanted to get a better idea of what both of you do at Villanova. What are some of your responsibilities? Part of the Earth Week celebrations included a local Farmer’s Market in the center of campus! Liesel: As the sustainability manager, I oversee all the different aspects of sustainability that we work on here at Villanova. I work with our Facilities team on energy efficiency and I work with our Grounds team on sustainable grounds management. I work with our students a lot, like on Earth Day, but other events too. We have an on-campus garden that I help manage. I (also) work with faculty to incorporate sustainability into the curriculum. One of the most important things to me is recognizing that our product is a student. We want to make sure that our students understand what sustainability is, why it’s important, and more specifically, how it relates to what they’re interested in. Bob: We have five different divisions within Facilities Management. We have building maintenance, grounds maintenance, custodial, environmental safety and health, and design and construction. A lot what we do operationally really impacts how the University attacks sustainability. The President’s Climate Commitment cites our mission to become climate neutral by 2050. We have a central steam plant, we burn fossil fuel, so we’re trying to reduce that and become as efficient as possible in those areas, as well as encouraging our students, faculty and staff to be as sustainable as possible. Jane: Liesel, when you try to integrate sustainability into the curriculum, do you meet with professors directly, or are there guidelines for professors? Liesel: Word of mouth is helpful. A couple of years ago we held a workshop – and we’re hoping to again – about how sustainability can be incorporated into what they already teach. I think on one of the biggest barriers is that faculty don’t want to teach something they’re not super familiar with, which is totally understandable. We want to give them those tools. We’ve been collecting sustainability teaching resources in a database to provide to faculty, and help them get over that hurdle and explore new options that may be available to them. Jane: So you’ve mentioned how Campus Ministry has an interest in all sustainability efforts. Do you think that Villanova, being an Augustinian school, encourages certain values when it comes to being sustainable and eco-friendly? Bob: When Father Peter first signed the President’s Climate Commitment, he cited our spiritual and emotional leader, Saint Augustine, and the types of values he espoused when it came to issues like this. Liesel: Even when you read the Cliff’s Notes version of the Pope’s encyclical from 2015, “Laudato Si,” it’s all centered around environmental stewardship, but also on environmental justice and helping others who are impacted by our actions with regard to climate change. It’s a nice tie-in. And Catholic social teaching is essentially what environmental stewardship is trying to be. It’s being good stewards to our environment and being good stewards to our neighbors. That’s really what we’re trying to do. Bob: Under Mission and Ministry we have the Center for Peace and Justice, so as Liesel said, we’ve always been about social justice at Villanova, but now we’re sort of expanding that to environmental justice. That’s what I see this leaning toward. Jane: So the new strategic plan… is all of the construction on campus a part of that? Bob: The new strategic plan is overarching, so you know it encompasses academics, construction, mission and ministry. The strategic plan is still in the process of being developed, and I would say it’s maybe two-thirds done. Jane: How does this construction impact our surrounding communities? Bob: There are a number of new impacts. First of all, we try to do all of our new construction following LEED guidelines. LEED stands for Leadership Energy and Environmental Design. We hire architects, and charge them to design to LEDD standards. Artist depiction for the new living spaces along Lancaster Avenue! The largest impact we’re trying to achieve is providing housing to our students, so we can take students out of the neighborhoods. We’re taking about 1,200 students and bringing them back on campus. That’s less impact to the neighbors. The other impact of that is that those 1,200 students had to drive to school. As true commuters, students have to drive to school once if not twice a day. So that traffic, we think, will diminish. That’s not to say these students won’t drive, and junior and seniors are allowed to have cars on campus. There will be, however, fewer trips. During construction we’re also trying to be more green and sustainable, so as part of the LEED design process we encourage or require them to procure their material for components of the buildings locally, opposed to getting them in (somewhere like) California. We want them to get material from within a certain radius of the construction site. We recycle any construction waste, therefore reducing the stuff that goes into the landfill. Jane: How do the new buildings on campus impact our University’s efforts towards sustainability? Bob: New construction is difficult because we’re trying to reduce our footprint, but every building we build uses more energy just because it’s a new building. As we start to use up our usable land, we’ll look at different ways to meet our space needs. Renovating and repurposing existing buildings, maybe putting additions on existing buildings. Jane: What do you think is the most significant step our University has taken to demonstrate our commitment to sustainability? Liesel: Ha! I would say our commitment to going carbon neutral by 2050. That’s one of our more higher-reaching commitments to sustainability that we haven’t achieved yet, but it’s a good goal. Bob: The carbon neutrality is part of the President’s Commitment, which encompasses different areas. Something I forgot to mention with construction is our stormwater management. Basically the goal of stormwater management is to take all of the water that falls on your site, and to take care of it on your site, not to put it in a pipe which goes to a stream which goes to a river which goes to the ocean, which with it brings the pollutants of the parking lots or whatever that catch that water. So instead, we’re trying to capture the water and use it on campus. We also have two professors – Professor Rob Traver and Professor Bridget Wadzuk – who are experts in this field. They get grants from the state and are actually currently rewriting the state of Pennsylvania stormwater regulations for how you deal with stormwater anywhere. But we have 15 sites on campus and we measure and meter that water. From this conversation with Liesel and Bob, I was pleasantly surprised by all of the wonderful work Villanova has been doing to become more eco-friendly. I was shocked that I wasn’t more aware of this information, and felt like it deserved more recognition. When I asked them both about why students don’t know about this as much as they should, they both agreed, “It’s hard to get students’ attention.” Between everyone’s extracurricular activities, athletics, classes and work schedules, it’s hard for these initiatives to be widely known among groups that aren’t naturally drawn to them. That being said, we don’t all have to sign up for Sustainability Club right now. As Liesel reflected, maybe we can just think about how sustainability and environmental interests are more interconnected to issues that relate to our passions, opposed to just thinking of recycling more. (But do that too.) Take note of the actions that contribute to sustainable lifestyles, and see if there is anything – big or little – that you can do on campus to incorporate them. I was not personally able to go to San Antonio, but the enthusiasm surrounding the game followed me to New York City, where I was visiting my family. I did an inordinate amount of research on Villanova’s first opponent, the Kansas Jayhawks, to see who their key players were and how we would pull out a win. While I braved some East Coast rain, I saw Snapchats of my friends in sunny San Antonio learning about the historic Alamo and walking around their famed River Walk. I envied not only their ability to see our team play in the Final Four game, but also to see Nova Nation in full force, traveling more than a thousand miles to support our school. In true Catholic school fashion, after our 95-79 win over Kansas Saturday night, we held an Easter Mass Sunday morning. This Mass served the nearly 4,000 Villanova fans who had made the trek down and bolstered the already high-spirits of Nova Nation. Team Chaplain Father Robert Hagan said of the Wildcats, “May they fill up more baskets than the Easter Bunny.” That, they did. An inside look at the watch party held in the Connelly Center! Returning back to campus that Monday, the energy was palpable. My friends who were flying back into Philadelphia around game time did everything in their power to expedite their return to campus. Everyone was vying to get a great spot at the game watches our Campus Activities Team put on in both the Connelly Center and at the Oreo, the central hub on campus. Complete with DJs, free pizza and halftime entertainment, this game watch had just as much excitement as any other Villanova game. I was quite thrilled to find out that during the halftime entertainment, my amazingly talented roommate won a dance battle on stage, and was subsequently gifted a Villanova lawn chair. I’m in a unique situation in which I can compare my two National Championship victories to each other. Not many college students in America have that blessing, but here we find ourselves in an era of Jay Wright-Villanova Basketball excellence. If you’re at all familiar with “The Shot” (which you should be! ), this is the shot Kris Jenkins took with 4.7 seconds left in the 2016 National Championship game that propelled Villanova to a 77-74 win over the UNC Tarheels. When people ask me how it felt to see that shot as a Villanova student, I find I don’t have the words to explain it. In disbelief. Out of body? No one quite knew what to do. Surreal. This year, it was in the cards. We started off confident. We maintained our lead throughout the second half. The 79-62 victory over the Michigan Wolverines put to rest any qualms people had about Villanova being an underdog. Jalen Brunson holds up the 2018 National Champion trophy in celebration! Once the clock ran out, all of the students bolted to the intersection of Lancaster and Ithan, where we had congregated just two years earlier. Tears of happiness were shed. Hugs were shared. Many chants of “Let’s Go Nova” were shouted at the top of our lungs. Being the best really feels the best. The second time around was just as sweet. Students cheered on as the parade traveled toward Philadelphia’s City Hall! School was cancelled the next day, and this past Thursday the city of Philadelphia held a parade for our new 2018 National Champions. The trains from West Campus were packed with Villanova students clad in their freshly minted “Villanova NCAA National Champions 2018” shirts, just picked up at the University bookstore. Against the backdrop of Philadelphia’s City Hall, we were able to unite in celebration. This parade included not only the Nova Nation, but everyone from Philadelphia who felt the magnetic excitement of this victory. Since the 2016 title game, I have attended more Villanova basketball games at the Wells Fargo Center in Philadelphia. I’ve listened to more commentary of Big East basketball on television, which my dad and brother supplement with their own perspectives on how Jalen Brunson has matured as a player since his first year. I’ve purchased more Villanova shirts from our University Bookstore. I’ve interacted with Jay Wright in the Davis Center, where I felt like I was speaking to a full-fledged movie star. He took it well, as I’m sure he deals with that a lot. I’ve celebrated, cried and cheered, all with my closest friends. From these experiences, I’ve realized Villanova basketball hasn’t just brought us more wins or more recognition. It’s brought us an undeniable sense of community. It’s brought us closer to what we all want from our college experiences—memories we will never forget. As a high school senior, I thought I was on top of my college admissions process. I did SAT prep classes, made a schedule for completing my essays and supplements and reached out to my college counselor to ensure everything was done on time. Despite all my preparation, there was always one task that seemed daunting to me: college visits. To me, college visits seemed overwhelming. It seemed like I was an outsider, observing other people in their “natural habitats” – the dining halls, dorms, classrooms and fitness centers. I wanted to be the “coolest” I could during these visits. I wanted to blend in and not draw attention. Naturally, in my mind, that meant I shouldn’t participate. That’s what cool college kids did, or so I thought. The St. Thomas of Villanova Church is an iconic stop on Villanova campus tours! On tours, my parents were always so engaged and I was always so embarrassed. They would be at the front of the group, asking about class size and on-campus food options, while I tried to maintain my position in the middle of the pack. I felt intimidated by the notion of asking questions that would help inform my ultimate decision of where to go to school, so I never did. After my parents would ask a question, I would always feel a slight moment of embarrassment, thinking “Ugh, my parents are asking another one?” This was then followed with my immediate attention to whatever the answer was. What are ways to get involved on campus? This is a big one for me because the first week of school everyone asked me, “Are you applying to Blue Key?” or, “Are you applying to be an LPH?” My answer to both of these was no, because I didn’t know what they were. I soon learned that Blue Key Society is the on-campus group that gives admissions information before tours and gives tours to prospective students. LPH is in fact an abbreviation for “Local Program Host,” a position available to first-year students who would like to get involved in the Special Olympics Fall Festival held at Villanova. How easy is it to change majors or declare your major? 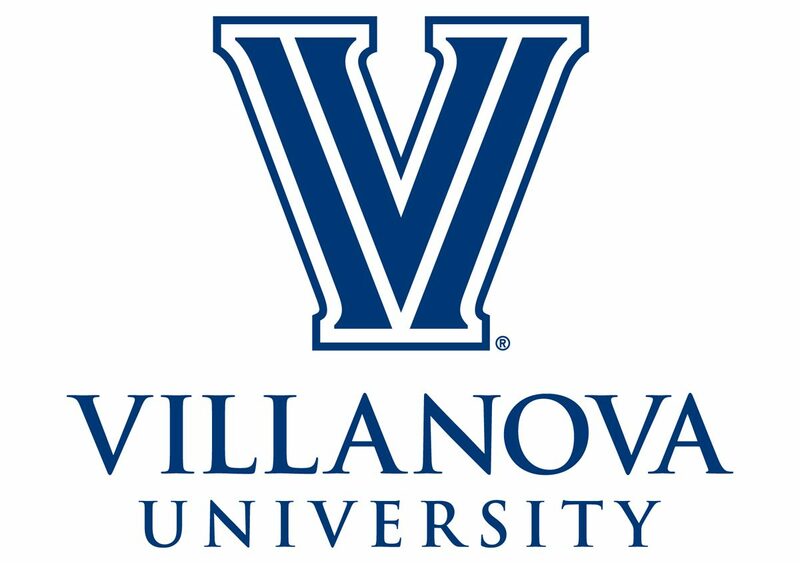 I entered Villanova as an undeclared major in the College of Liberal Arts and Sciences. This qualified me to take a one-credit class entitled “Advising: Explore and Experience” (known as ASPD) the first semester of my first year. This class met once a week to go over professional development opportunities and ways to figure out what you’d like your major to be. After a year at Villanova, I realized what really interested me was communications. I emailed my advisor to set up a time to officially declare, which I built up in my head to be a momentous occasion. And although it is a big deal to officially declare your major, getting a form signed seemed anticlimactic. I still prefer an anticlimactic experience to a stressful one, however. The ease with which I was able to officially declare made me feel more secure and supported in my decision. Is it easy to study abroad? Although it may seem like a long way off as a high school student, the decision to study abroad will creep up on you sooner than you’d think. I didn’t know if I wanted to study abroad, but it was always a good option to have. I ultimately decided to study abroad last semester in Copenhagen, Denmark, which was one of the best decisions I could have ever made for myself. One of my best friends from Villanova, Spencer, visited me in Copenhagen while he was studying in Galway, Ireland! The process of applying and getting courses approved seemed daunting, but all of the wonderful people in the Office of Education Abroad (OEA) were extremely helpful. I was able to meet with both my academic advisor and abroad advisor to finalize what classes would be counted towards my major and minor, and what classes would have to be taken at Villanova. OEA also gave me better tools to anticipate the financial costs of study abroad and ways to engage more fully in the culture in which I was studying. Are most students from the area or all over? I did not anticipate this being an issue for myself until I got to Villanova’s campus. I didn’t fully prepare myself for the culture shock I would feel being a Californian coming to Pennsylvania. Although I knew Villanova was an extremely welcoming community, I initially felt that so many people were from the East Coast. And while there are many people from the region, my best friends are from Minneapolis/St. Paul, Chicago, Los Angeles and Portland. Villanova draws students from all regions of the U.S. and around the world, and I now see that my intimidation about people from the East Coast was misguided. Do TA’s teach classes? It’s important to think about what experience you’d like in the classroom. Although topics of extracurricular involvement and room and board will help shape your college experience, you are ultimately going to college to learn. After taking five semesters worth of classes, I have never had a teaching assistant (TA) teach a class. My notion of an intimidating, standoffish college professor was quickly disproven my first day of classes, as my statistics professor asked each student to say his or her name and where we were from. Verbatim, he said, “For any of you first-year students in this class, don’t be intimidated. I promise you all of your professors will be nice.” He did not mislead me. Outside of these questions, it’s important to take in your whole experience on campus. Statistics and facts about a school are very important. It’s essential to get a feeling for the ways you can get involved, shape your expectations for your classroom experience and understand where you’ll most likely be living throughout your four years of college. The Oreo is a favorite spot on campus to hang out with friends – especially when it’s 75 degrees and sunny! Beyond that, however, it’s important to look around. Look at the current students. See if they seem genuinely happy, or if they were just getting through their days. Do they all look stressed? Are they friendly? Are they helpful? People are what make a community great, and that’s never been truer than here at Villanova. Knowing about class size and service opportunities helped shape my decision, but more than that, it was the personal experiences I had on campus that ultimately made me feel that Villanova was home. When Valentine’s Day rolls around, you run into individuals with very different opinions of the holiday. For some, it’s a day to celebrate with their significant others. For others, like myself, it’s a chance to go out to dinner with the girls and pick out a rom-com to watch. I think Valentine’s Day has become a chance to celebrate love in your life, no matter what form it takes. At Villanova, I’ve formed some of my greatest relationships with roommates, friends, sorority sisters and fellow tour guides. I’ve found that I’m surrounded by love every day, often evidenced by something as simple as a phone call with my parents or when one of my roommates gives me advice. Villanova has gifted a lot of people with relationships that have lasted long after graduation. One of my family friends, Rachael Ponge, graduated in 2011 from Villanova. This past December, she married TJ O’Donnell, who she met through mutual friends during their first weeks at school. They have since relocated to New York City, but more than 70 Villanova alumni attended their wedding in Syracuse, New York. One of her bridesmaids, Kate Wroblewski, got married just two weeks before to Ryan Verfurth, who also graduated from Villanova in 2011. TJ and Rachael O’Donnell got married in Rachael’s hometown of Syracuse! One of my favorite aspects of Villanova is how genuine the friendships I have made here are. I think Kate and Rachael’s stories are no exception to this idea. Since graduation, Rachael and Kate’s friend group has been able to keep in touch, and their memories have managed to extend from exciting times as college students to memorable moments as working professionals. I got to talk with both Rachael and Kate, and they shared a lot about the awesome adventures their friend group has experienced since graduation. Not only did they talk about how grateful they were for the friendships they’ve made, but the education and experiences Villanova gave them as a university. Rachael and Kate’s friend group has managed to get together as often as they can, despite being spread out between New York, New Jersey and even Chicago. From getting together to watch Villanova win the 2016 NCAA Championship to rotating apartments for “Friendsgiving,” they’ve traveled as far as Las Vegas and Puerto Rico together. Ryan and Kate got married here at Villanova University! I actually got to know Kate through her younger brother, James, who was one of my first friends here at Villanova. It’s funny how making friends with one person can open doors for that many more opportunities. It’s been inspiring to talk to Rachael and Kate, seeing how Villanova has given them not only the great education of a well-respected university, but friendships and even relationships that have been genuine, long-lasting and fulfilling. Thinking about Valentine’s Day this year, I might not have the same experiences as Rachael and Kate, but their stories just make me appreciate the people I have gotten to know at Villanova thus far. I don’t know exactly what the future holds, but the people I have met and the experiences I have had at Villanova lead me to believe that it couldn’t look any brighter. As another Valentine’s Day passes, I’m excited to see what life will be like next year, but until then, I’m happy spending the night with some great friends wondering what incredible adventures we’ll have after our graduation day has passed.